Save time and money now with the ideal iPad POS system for fast food. 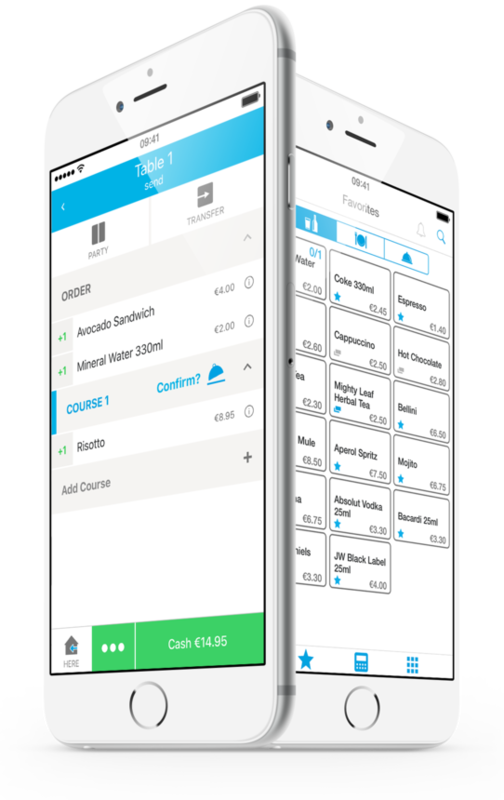 Boost the sales of your snack bar, food truck, take-away or deli with the orderbird iPad POS system. You will find an overview of the main benefits of the swift POS system here. It’s child’s play to assign products to product groups and define order requests. This saves time and money. For very little money you receive all the important features that make a conventional cash register look antiquated. You want to get started with your mobile catering concept? orderbird makes it possible! 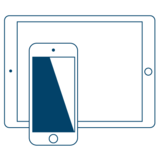 The iPad POS system will reliably accompany you on all your routes. The POS system which fits like a glove! Space is limited in a fast food restaurant. The slim orderbird iPad POS system will fit perfectly into your counter! If you want to shine with a creative design, then orderbird is exactly the right choice for you! Our state-of-the-art iPad POS system blends in with your style fabulously and not only impresses your tech-savvy customers. You will be amazed how many people are curious about the stylish iPad as a POS system! The slim iPad POS system fits even on the smallest snack bar counter. Giving your customers a clear view at what really matters: your offers. 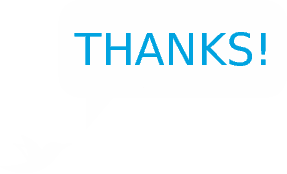 Goodbye to cash register programmers! 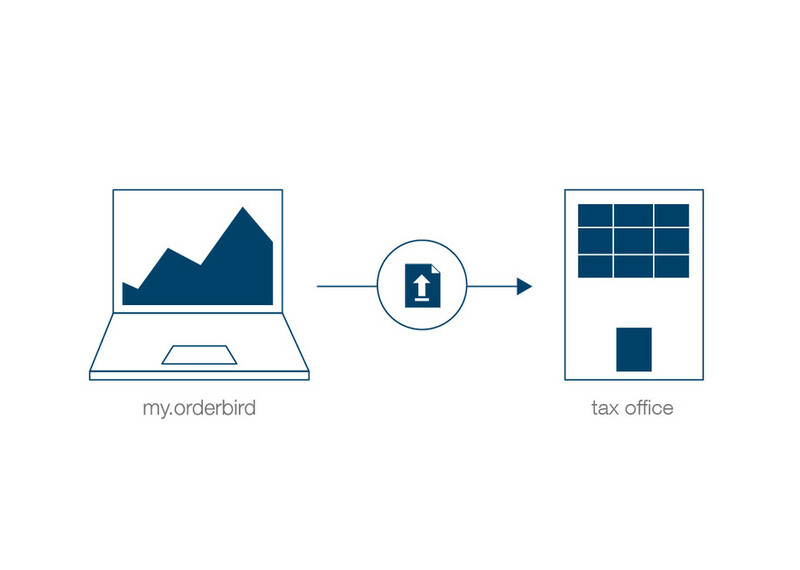 With orderbird you finally have your POS system in your own hands. For you know best how to organise processes and products so that your business can run more efficiently. You can easily change prices, assign products to product groups or determine order sequences in the app. From now on, you no longer need expensive programmers for POS systems. You can customize your POS system easily yourself – without prior IT skills. “To eat here or to take-away?” Your staff do not ask this question out of mere curiosity, but because the answer determines the rate of VAT. orderbird has a feature ready for the in-house or take-away inquiry. 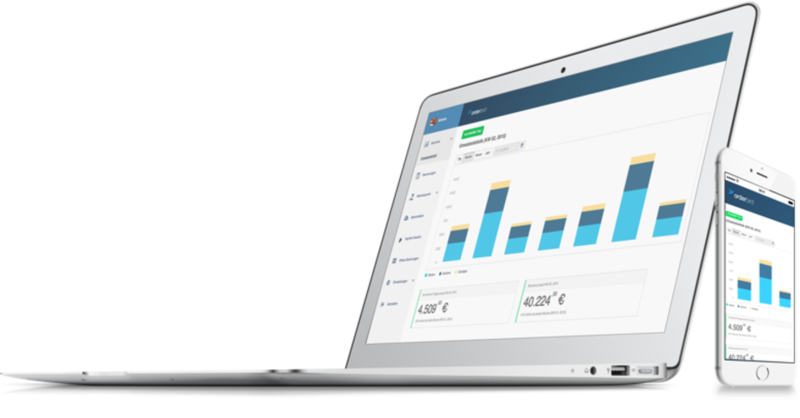 This improves your processes, increases your sales and simplifies your accounting! With us, you not only have everything in sight behind the counter, but also from your office. 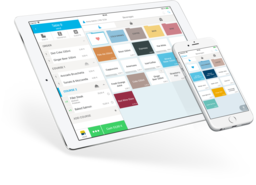 The orderbird POS system helps you keep your business figures and accounting under control. With my.orderbird administrator access, you can analyse products and peak hours and have mobile access at any time and from anywhere. Our POS system was developed in cooperation with tax consultants and financial experts, to make it GoBD and tax office-compliant. All data are collected and processed so that the export for the tax consultant can be created at the push of a button. Launching a business with your own food truck, snack bar, a deli or a take-away requires high investment costs particularly at the start: renovation and interior fittings such as a counter, kitchen and equipment, chairs, tables and of course a POS system. Using orderbird, you can keep your costs for the POS systems as low as possible. Another advantage: with orderbird, your customers have their snacks in their hands faster than ever before. I chose orderbird because it is easy to use and integrates into my business without taking much space. It has everything I need to be able to work properly. This allows me to focus entirely on my customers.